HTC has announced the first smartphone made specially with Windows Mobile 6.5 in mind - with the HTC Touch2 smartphone carrying the new Windows Phone moniker. 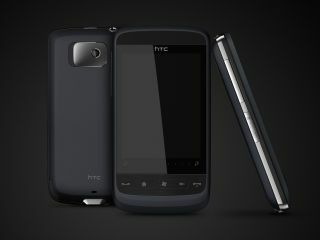 The phone – described by HTC as 'compact and stylish' is the successor to the popular HTC Touch, and will take advantage of new Microsoft features such as MyPhone and Windows Marketplace. "The HTC Touch2 delivers a familiar touch experience that millions of people have come to expect and rely on from HTC in their daily lives," said Peter Chou, Chief Executive Officer, HTC Corporation. "Whether it's making a call, checking in with a friend or simply responding to an important email, the HTC Touch2 puts you in touch and in control." The phone, which includes HTC's TouchFLO technology, Google Maps for Mobile, YouTube 'and more', will also feature the newly designed Internet Explorer for mobile and all the Exchange email goodies you would expect from a Windows Phone.